I was up at 7 am, 6 Texas time (Ha), and had my quiet time, 8 miles on the treadmill, ate a light breakfast, showered, dressed, and went to the morning service at the Heavenly Heights Baptist Church of Jacksonville pastored by Pastor Ed Hall. There were 16 preachers with three who preached before me. I was blessed by the preaching! My dear friends Brother and Mrs. Chris Pledger came to the meeting. Here they are in the picture to the right. From the oldest to the youngest Gabrielle, Ryan, Jarod, Hannah, Evan, Nathanael, and Kristyn. They sang and my heart was blessed! I love this family! As I sat on the front pew and reviewing the sermon that I had completely prepared the Lord seemed to tell me, “No, that’s not what I want!” So, I outlined a sermon using John chapter 17, which is actually the Lord’s Prayer noting especially verse 11, “…that they may be one, as we are.” Then I titled the sermon UNITY VS. UNION and that is what I preached. May I share with you the thoughts? There were no jet planes at this time, no national meetings, and no traveling to great fellowship meetings as we do today. Jesus is praying for the “unity” of a local church not the “union” of local churches. Local churches are not one big “body.” They are each local bodies. We are an espoused Bride and not the Bride at this moment. When the rapture occurs we will have an assembly in Heaven but until then we are only local bodies. I cringe when I hear an independent Baptist preacher refer to all churches as the “body of Christ.” That is an Evangelical, Charismatic, Protestant, and Catholic teaching but not a Baptist teaching. When our “fellowship” meetings start creating “offices” to represent the “fellowship” you are becoming like the Southern Baptist Convention. I left the American Baptist denomination because they suspended local church authority once a year for one week by sending delegates to their nation meeting to vote on proclamations that all the local churches were to adhere too! They usurped the authority and autonomy of local churches. God broke up the tower of Babel effort of the people and went so far as to confound their language. In Acts chapter 8 God caused the First Baptist Church of Jerusalem, which had over 100,000 members, to break up because God wanted them to reach the world with the Gospel and not to build the largest church in the world. God allowed a great persecution to cause them to scatter. There is cyclical pattern here where the mega-church movement as we know it will not be the tool used by God in the next generation because it has become the end and not the means to the end God originally intended. There will be an implosion of the mega-church movement. There are 400,000 plus churches of every stripe in America. There are 42,000 SBC churches and 18 to 20,000 independent Baptist churches. Most of these churches run 75 to 100. There are not that many mega-churches when compared to the average local churches in America. Most of these mega-churches have been, forgive me for saying it this way, but stealing the members from the smaller churches in the area through their Saturday Night Live Concerts. 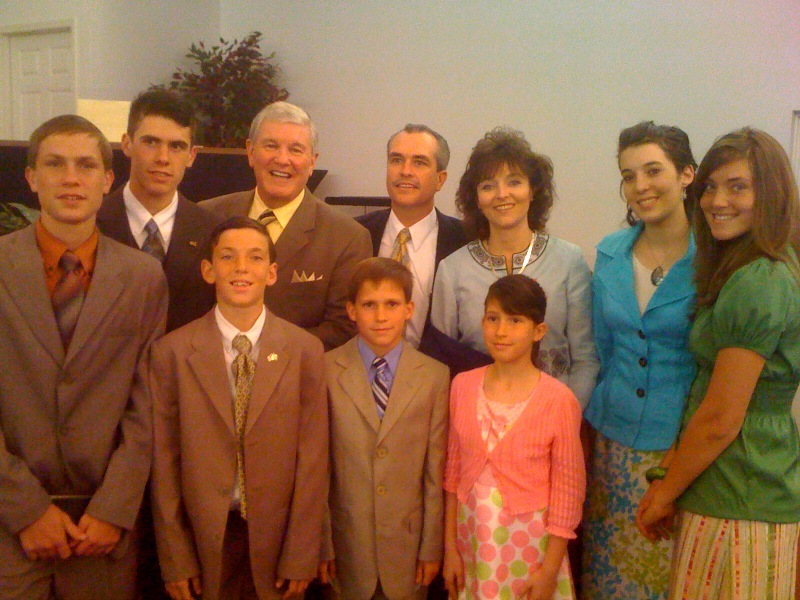 They are not growing via soul winning and baptizing converts. They are entertainment centers for our young converts who rebel at the thought of holy living. When this implosion occurs the so-called little churches are going to reap what the mega-churches have been reaping from the soul winning of the smaller independent soul winning Baptist churches. I pray to our God that these local smaller church pastors will prepare themselves for the backlash and be ready to help those hurt by this Hollywood theology. One of our problems in the independent Baptist church movement is the Mecca mentality and the need to live off of the big churches instead of going to work at home and winning souls the old fashioned way and quit feeling inferior to the point of compromising. We have turned to the SBC for a pattern for missions that has failed but for some reason in order to prop up a system we blindly follow and continue to check our brains at the doors of these famous powerful pulpits.